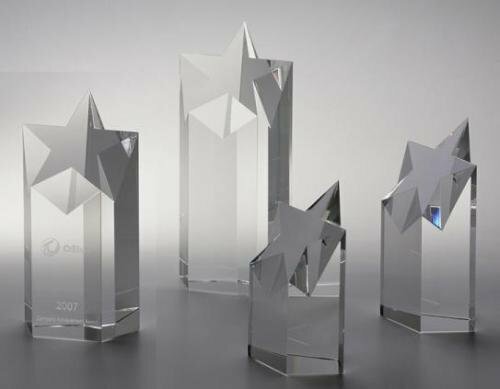 All of our engraved Crystal Star awards are made with the highest grade of absolutely clear optical crystal. Unlike lead crystal, these crystal star awards are lead-free. Each employee recognition award piece such as these crystal star awards are hand polished and beveled.